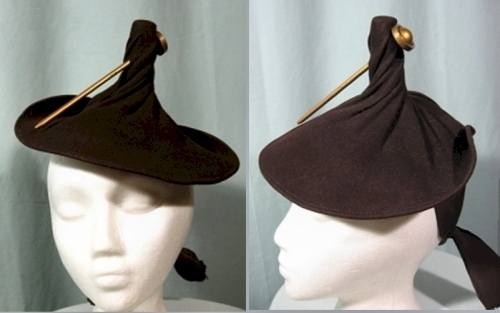 This twisted and skewered felt hat, from a private collection, has no label, but it seems like the logical (or illogical) result of hat patterns and illustrations from the late 1930s. 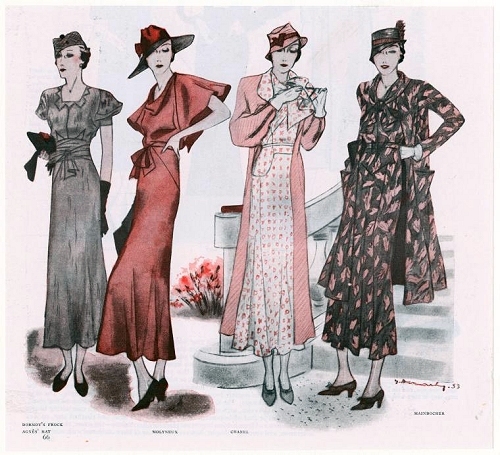 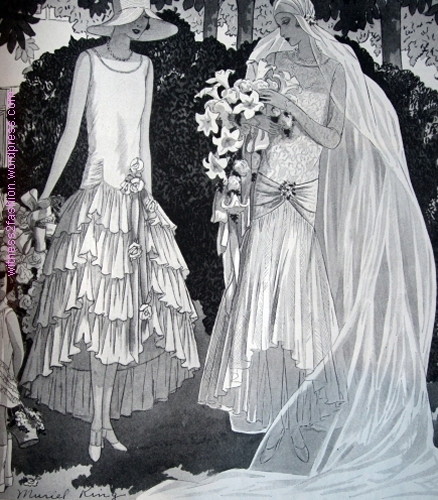 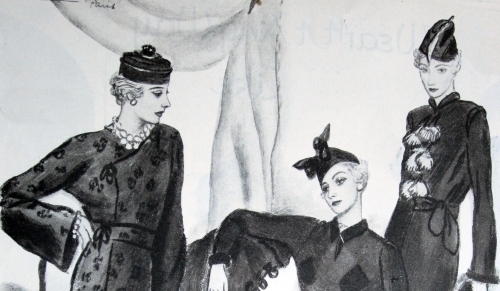 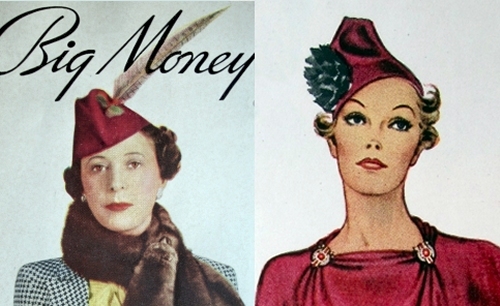 Here are three hats shown with couture collections in February, 1936. 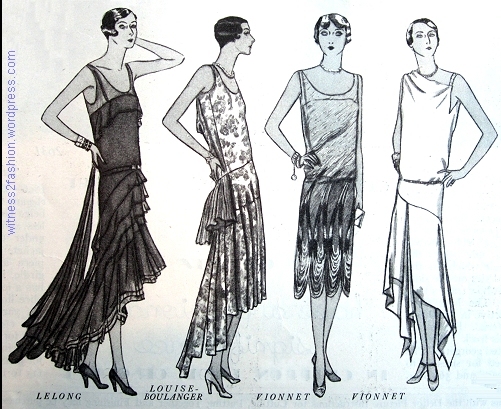 The designers are, left to right, Mainbocher, Worth, and Molyneux. 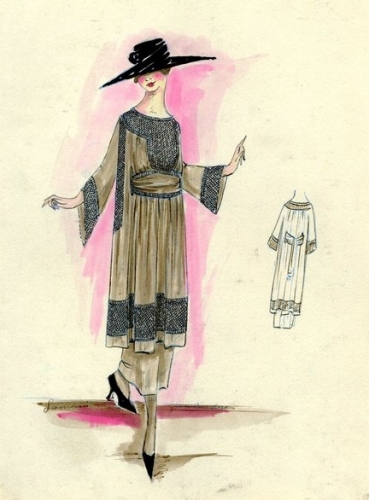 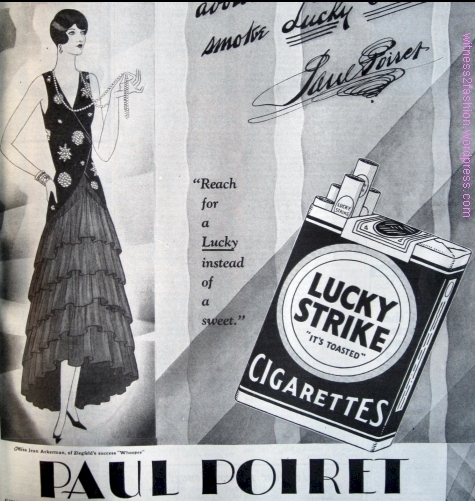 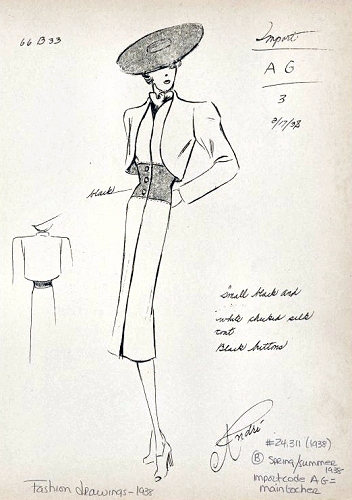 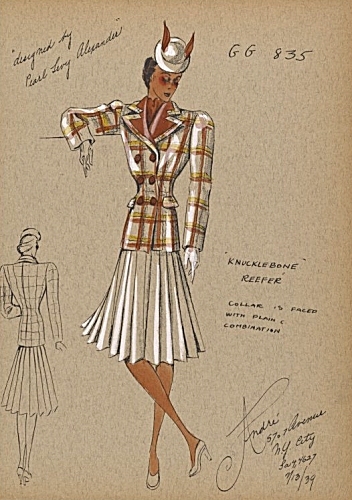 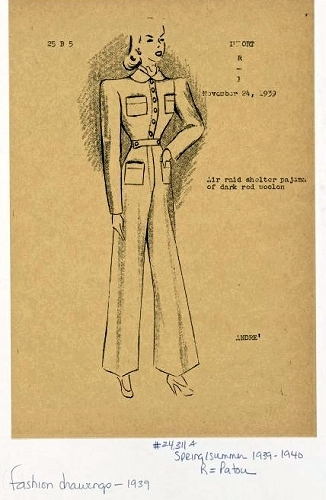 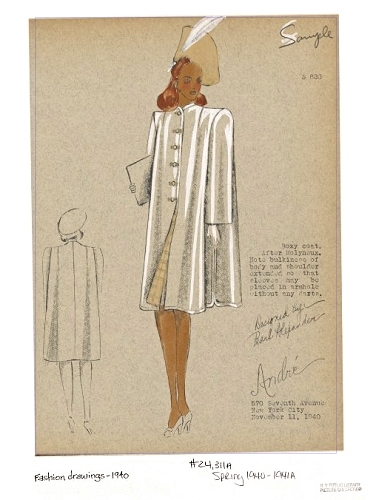 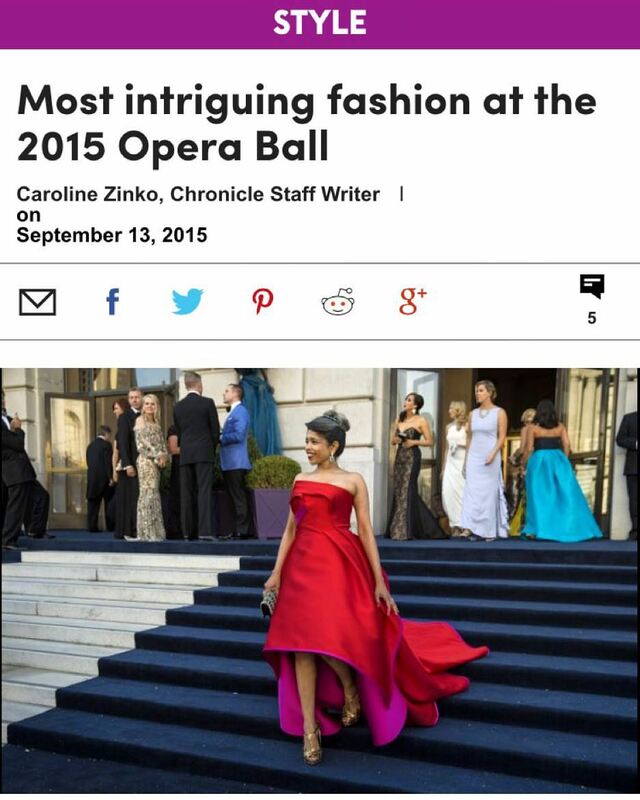 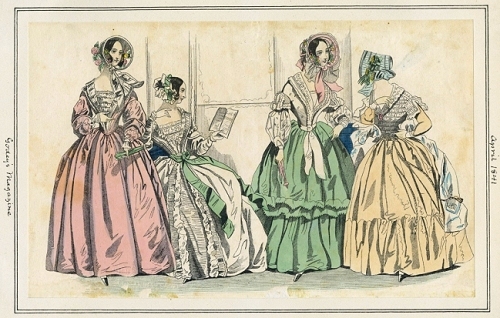 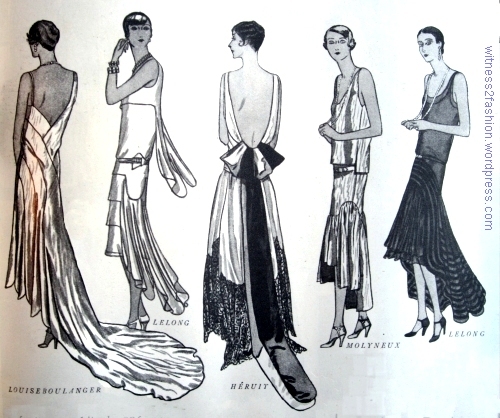 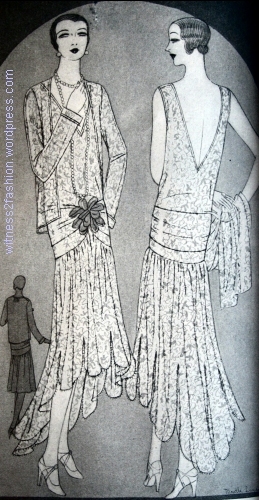 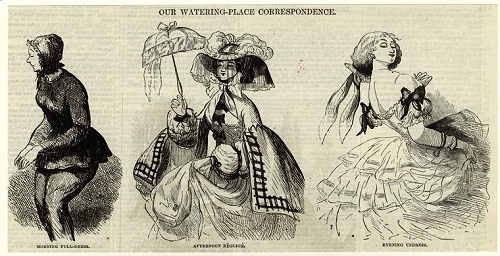 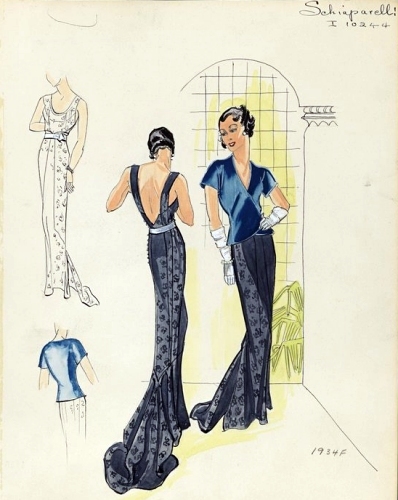 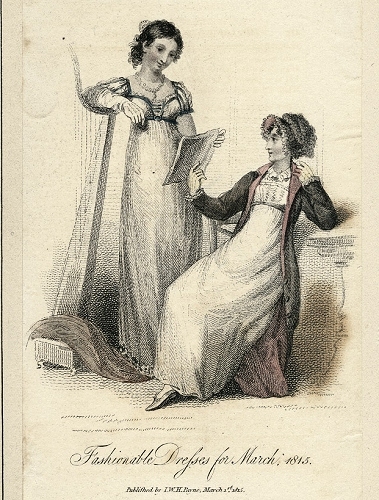 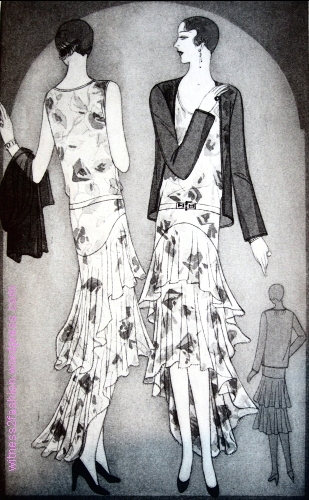 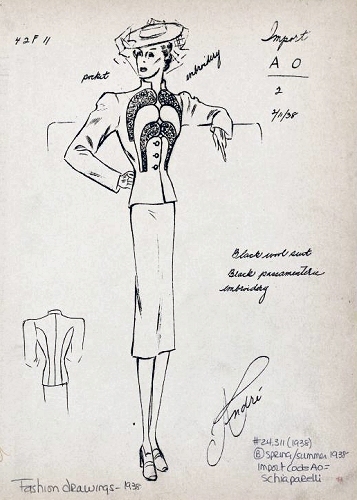 Fourteen months later, similar styles were available to home stitchers in a Butterick pattern. 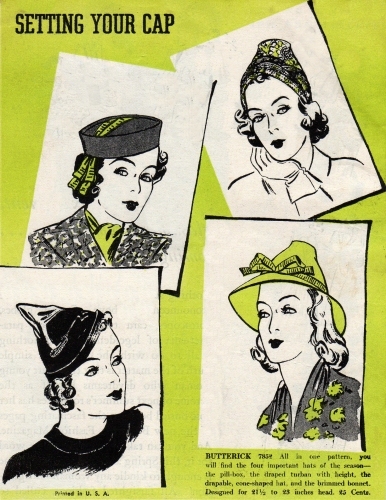 Except for the pillbox hat (top left), three have pointed or flattened cone shapes, which had been appearing at least since 1936. 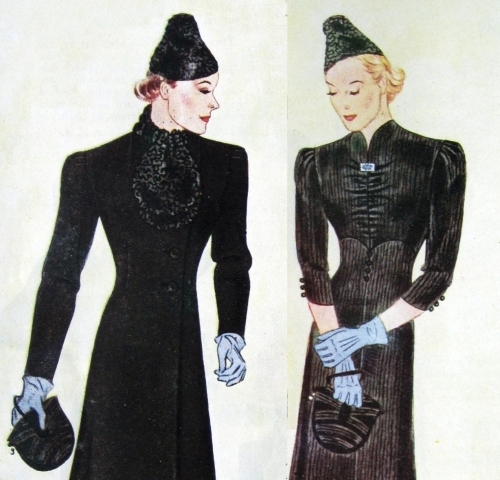 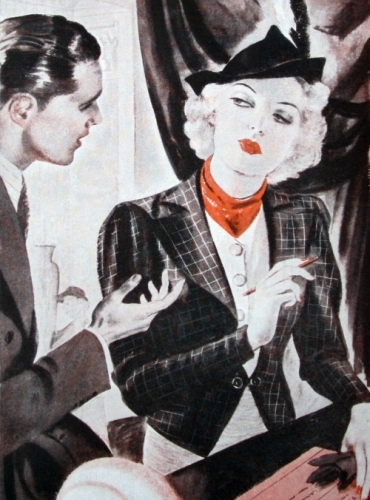 This black felt cone hat in the illustration above is from a story in Woman’s Home Companion, May, 1937. 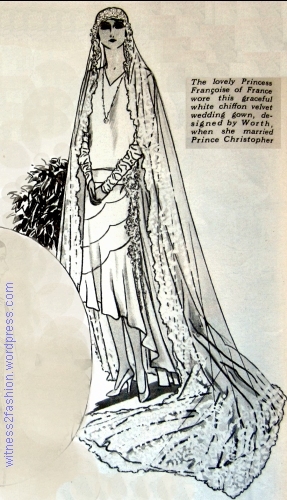 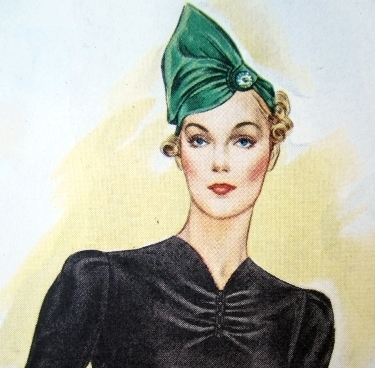 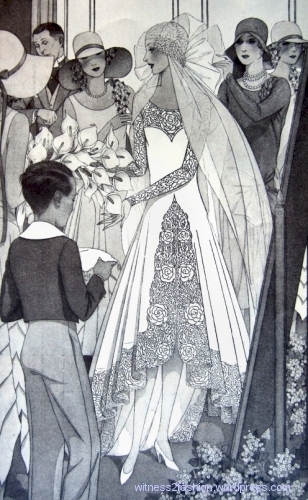 This green draped hat appeared in a pattern illustration, Woman’s Home Companion, December 1937. 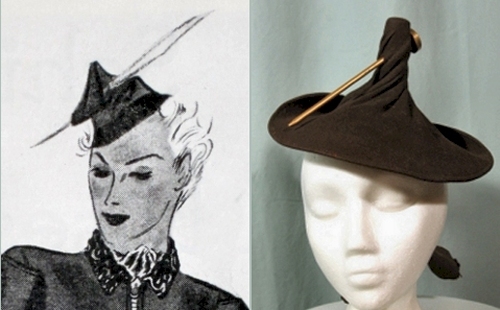 It looks as though it might be an asymmetrical bow, but it is very similar to the draped cone hat in pattern # 7852, seen from a different angle. 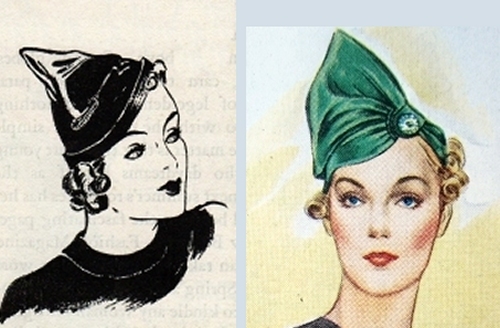 Finally, the draped and skewered cone hat illustrated on the left, below, from October, 1936, is only a little less extreme than the draped and skewered cone hat we started with: The one on the right ties behind the head. 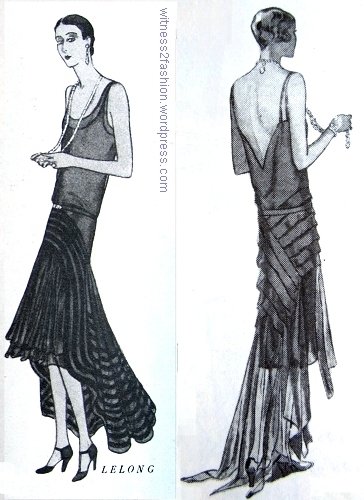 The one on the left seems to depend on magic… or a thin elastic band.